With the COOLPIX A10, creating beautiful memories of your friends and family couldn't be easier—just point and shoot! Easy Auto Mode automatically picks the best settings for your shot, while Smart Portrait System gives portraits a flattering look. Zoom in with the camera's 5x optical zoom NIKKOR glass lens for stunning 16.1-megapixel close-ups, or zoom out and record the whole gang in 720p HD video. If your hands are a bit unsteady, electronic VR will offset camera movement and keep your shots sharp and clear. 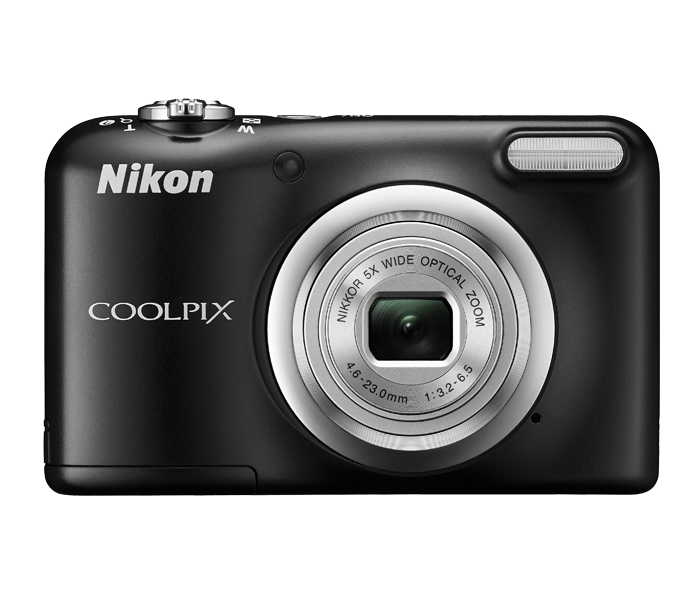 For added convenience, the COOLPIX A10 runs on AA batteries, so you’ll never be stuck waiting for a charge. Convenience was considered in every aspect of the COOLPIX A10! Based on Camera and Imaging Products Association (CIPA) standards for measuring the life of camera batteries. Measured at 23(-/+2)°C (73(-/+4)°F); zoom adjusted with each shot, flash fired with every other shot, image quality set to Normal, image size set to 4608 x 3456 (16.1MP). Battery life may vary depending on shooting interval and length of time menus and images are displayed.